On Wednesday, I visited Montrose Harbour with Terry Wood of the Harbour Board and Montrose Liberal Democrat Cllr David May. We toured the properties surrounding the northern part of the harbour, many of which house derelict, empty buildings. These are a sad reminder of businesses lost to the area. However, they provide a real opportunity to improve the harbour’s infrastructure and provide space to expand for future development. 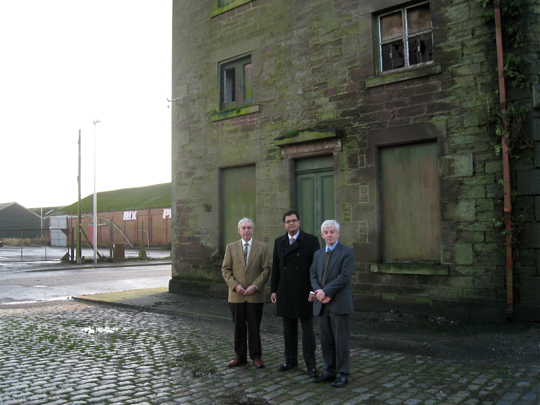 The future development plans for Montrose Harbour are excellent, and I will be supporting them in any way I can. Angus Council is conducting a study on how to best improve the infrastructure around the harbour, to improve access and attract more business. Again this is an excellent approach, supported by the Harbour Board. I also talked Jim Raeper, Technical Manager, about opportunities for Montrose to win exclusive contracts to survey, service and possibly construct offshore wind farms. 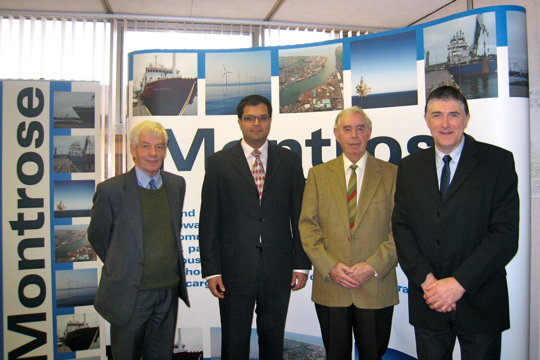 Three wind farm developers have already approached Montrose, which is Angus’ only commercial port, to discuss opportunities. Developing the harbour infrastructure seems to be an obvious plan to secure jobs and business for the whole of Angus. Offshore wind power will be central to Scotland’s future energy supply and it is crucial that Angus does not miss out. Embracing and supporting green energy production will put Angus at the heart of Scotland’s sustainable future. Montrose Harbour already supports over 500 jobs around the county and winning new business could generate hundreds more. Improving the infrastructure will attract more business for Montrose Harbour and provide access to a first class port for all Angus businesses. This will be an investment to create jobs throughout Angus, and I am sure that everyone in Angus would want to support the Harbour’s development plans and the Council’s infrastructure study. To that end, I would call on the Scottish Government, Scottish Enterprise and the Westminster Parliament to pay close attention to the outcome of the Council’s study and act quickly to secure a positive future for Montrose and the whole of Angus.